Sita Symonette: Your Voice Matters. Speak Out. This blog is the fourth in a series of posts celebrating community leaders who reflect our equity priorities. At Northwest Health Foundation, we know communities need the power and resources to sit at decision-making tables, to help dispel beliefs and practices that do not promote their health, and to help shape those that do. From local school boards to the state legislature, parents and families should have a voice. When Sita Symonette joined the Planned Parenthood Columbia Willamette board of directors in 2012, only three out of 19 board members, including Sita, were women of color. Five years later, a lot has changed. Planned Parenthood Columbia Willamette’s board includes Black, Latinx, Native, Asian and significantly more LGBTQ members, and Sita has been elected PPCW’s first African-American woman chair. 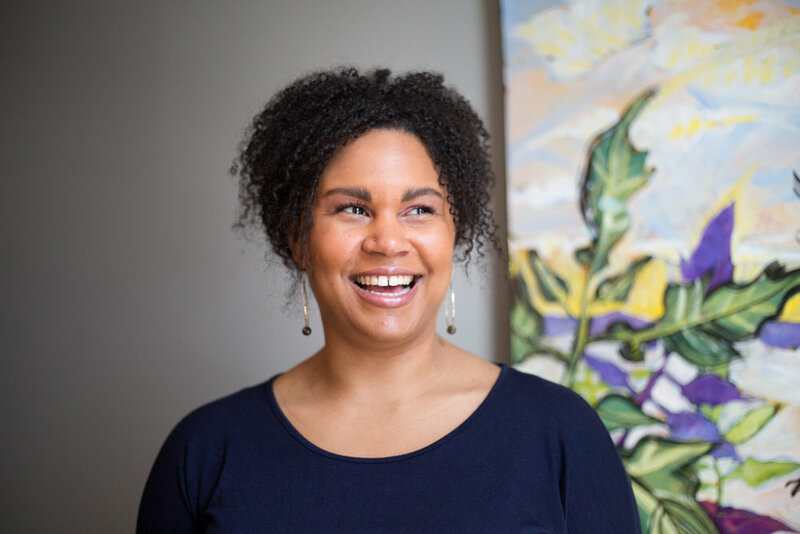 As an acupuncturist and small business owner who prioritizes inclusivity and women’s health, Sita brings an alternative healthcare perspective to Planned Parenthood Columbia Willamette. She also brings a history of community service and social justice work. Growing up, Sita’s brother was close friends with the son of Billy Frank Jr., Native American environmental leader and treaty rights activist. Frank and his wife were like second parents to Sita. Seeing them center service in their own lives motivated Sita to center it in her own. She started volunteering when she was a preteen and never stopped. In graduate school, she became the first student ever to sit on Oregon College of Oriental Medicine’s board. And after graduate school, she worked with a group that brought Martin Luther King, Jr’s teachings of nonviolence into high schools through slam poetry. When Sita joined Planned Parenthood Columbia Willamette’s board, she had the background and willingness to quickly jump in on equity and inclusion. Considering 40 percent of the people PPCW serves are people of color, she knew the organization needed to do more to represent that community. She took part in hiring a Director of Equity and Inclusion, helped develop an equity lens and equity mission statement, and participated in equity trainings with board and staff. In her new role as chair, Sita wants to keep PPCW rolling in the right direction, integrating equity into every aspect of their work. Recently, the organization began implementing telemedicine in Oregon’s rural communities. She’d like to see that expand over the next couple years, ensuring everyone has access to their services even if they can’t get to a brick and mortar location. She also wants to recruit younger voices to the PPCW board. Of course, priority number one is keeping the doors open, no matter what happens at the federal level. For those who would like to take on leadership roles in the future, Sita has several words of advice: If there are people you look up to in the community, reach out to them. Become involved in your community. Show up at different events. Follow through with what you say you’re going to do. Youth, know that your voice matters; speak out. Lastly, seek out culturally specific leadership programs and take advantage of them.